Releasing their brand new album Atonement back in February, Immolation have taken even more steps to becoming one of the most volatile Death Metal forces in the world. Incredibly well respected, New York born Immolation are easily one of the most expansive and truly extreme bands that lend their name to Death Metal. Regarded as one of the masterpieces of the genre Dawn of Possession, the groups 1991 effort is a perfect example of Immolation’s now patented sound. Combining the atonal riffing of guitarist Bob Vigna, the devouring vocals of Ross Dolan and dual attack of Steve Shalaty and newly appointed Alex Bouks, somehow the band have bettered themselves once again with their brand new album. 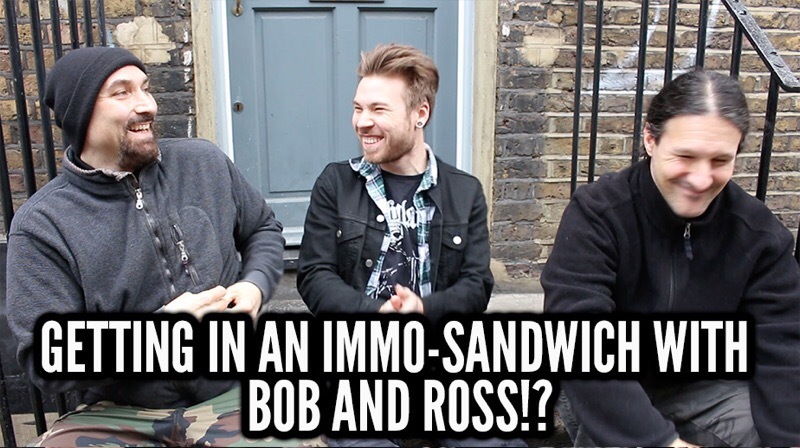 Making time for a quick chat, I was able to ask some questions to Bob and Ross, the essential ingredients to an Immo-Sandwich! Immolation’s brand new album is out now via Nuclear Blast.